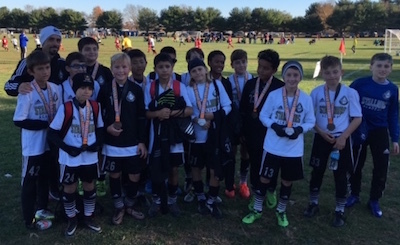 Nov 12, 2016 - U12B Ginga & Zico Teams Improving Playing Up in Age - Full Article Below! At NJ Stallions Academy, Coach Julio Cesar, manages two promising young U12 Boys teams; the NJ Stallions 05 Ginga EDP team and the NJ Stallions 05 Zico EDP team. Both squads play up at U13 on the "full sided field" in the EDP League. For the U12B Ginga team, playing up was especially challenging this Fall as some of the Ginga players only recently turned 11 years old. 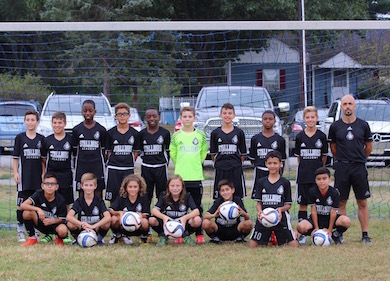 In spite of this, as a team, Ginga managed to record 8 match wins in EDP this Fall, and most recently they finished in 4th place at the EDP FALL CLASSIC TOURNAMENT at Fort Dix, with a 2W and 2Lrecord, again playing up at U13. The determination shown by Julio Cesar's second team, NJ Stallions 05 Zico EDP this Fall is also worth highlighting. The Zico EDP Fall season was not as successful as the Ginga team. Playing up was extremely difficult, managing only 1 match win this Fall against older teams on the Full Sided field. The Zico team also has players who only recently turned 11 years old. In spite of the experience in the leaguel, they entered the EDP FALL CLASSIC at Fort Dix, playing "age appropriate" at U12, and made it all the way to the Championship game, finishing as FINALISTS. Coach Julio Cesar says, "For both teams, the season was a challenge. I asked a lot of them individually and as a team to play up. Ginga improved greatly with their 8 wins, and Zico's performance at the EDP Fall Classic scoring 11 goals allowing only 3 in 4 games, was a great way to end on a high note after a very tough Fall season. After the Thanksgiving break, both teams will start our winter training schedule. We will only get better heading into the Spring. I'm proud of all of them".